Strength training for cyclists is an area often overlooked when forming a winter training plan and it could be the difference that enables you to achieve your goals in the next cycling season. Dr. Chris Bartlett is a professional cyclist, biochemist and coach at palmarès and in this article on weight training for cyclists Dr Chris talks us through what strength is, why strength training for cycling is important and finally how to build strength training into your winter program. At that moment, at the foot of the Kapelmuur, just two of cycling’s strongmen were left: Boonen, and Cancellara. Over six hours and 250 km earlier, the peloton had set off from Brugge. It’s common for race commentators to refer to an exceptional rider as being ‘strong’; that term can be a little ambiguous to cyclists, particularly those who are new to the sport. Many, therefore, misinterpret what it is to be a ‘strong’ cyclist; the implication being that it is their absolute muscular strength that is the limiting factor of their endurance during a long distance cycling event. But, it is not the strength of one’s muscles per se, but rather their strength endurance – or fatigue resistance – that is important to cycling performance. Weight training for cyclists is still a controversial subject among cyclists. A typical concern with many cyclists is in gaining unwanted muscle mass, increasing their weight. However, recent studies have shown that performing a concurrent weight and endurance training program does not lead to hypertrophy or muscle fibre growth (1) and that also, such a program leads to larger performance gains than endurance training alone (2). So, if weight training does not increase muscular size, and if muscular strength is not the main determinant of performance, how does weight training elicit performance gains for cyclists? 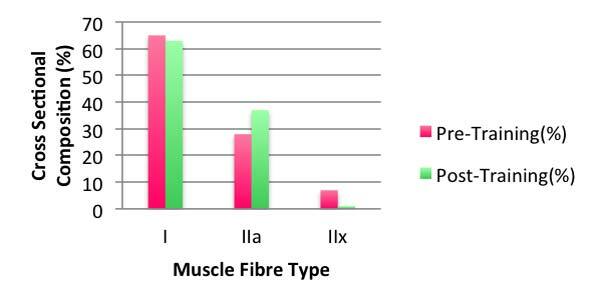 II) Reduced Muscle Recruitment – While the muscle does not increase its mass, weight training still increases the maximal contractile force the muscle fibre is able to produce. This adaptation is proposed to improve muscular endurance by reducing the muscular recruitment required per pedal revolution at a given pedal force. As a numerical example, say 15% of the muscle’s capacity is required for one pedal stroke before training; if each muscle became 50% stronger, the muscle only need operate at 10% capacity to perform a revolution with the same force after weight training. Continually operating at a lower % of muscular capacity is believed to improve endurance. III) Improved Economy – Concurrent strength and exercise training has been suggested to improve cycling economy (4). A 185 minute testing protocol was used in which participants cycled for 180 minutes sub maximally, preceding a 5 minute max effort. During the last 60 minutes, blood lactate and oxygen consumption were both significantly lower in the weight trained group. Further, a 7% improvement in power output was seen in the 5 minute max effort after the preceding 180 min exercise bout over those who were on a standard endurance training program. IV) Other Benefits – Other beneficial adaptations resulting from a weight training program may include: neuromuscular development (5) i.e. the ability to recruit and coordinate more of the muscle in one contraction; and, musculotendinous stiffness, which may allow greater efficiency of energy transfer through tendons (6). Calculate 1RM – Do not attempt to determine your 1RM by actually lifting it! It is an extremely dangerous activity for untrained individuals and carries a very high risk of injury. Use a calculator to estimate your 1RM by how much you can lift for 10 reps, for example. The chart opposite allows you to estimate your 1RM by how much you are able to lift for a given number of reps. Note: Your 1RM will improve with training, so if you find you’re able to do 5 reps at ‘95%’ of your 1RM, then you should adjust your 1RM. As with any exercise, ensure a thorough warm up, particularly for the heavier weight exercises. Perform a small set of your intended exercises at 50% 1RM. To end your session, cool down on a Spin bike or similar in a low gear. Preparation Phase – The start of your winter training plan is perfect time to begin a weight training program. Ideally, perform this phase while in your off-season, before the winter miles begin. We recommend that you use the first 6 weeks in the gym to prepare the muscles and joints for the build phase of the program, to become comfortable in the gym, and developing good lifting form. Start out with core exercises such as plank/side plank, prone cobra, bridge, bicycle crunches, progressively moving on to more advanced moves involving the Swiss ball as you progress, such as the pike. The Swiss ball is particularly effective as you need to demonstrate excellent control, stability and balance. Free weight exercises such as squats, lunges and dead lifts are excellent for the cyclist. For the free weights, initially aim to lift around 60% of your 1RM for around 30 reps. Begin out on 2 sets, progressively upping it to 5 sets by the end of the 6 weeks. Free weights are preferred owing to the greater development of stabilizing musculature, but do target individual muscle groups on the resistance machines if you feel you have a particular weakness. Build Phase – Now that you have a strong core and have prepared your body to deal with the increased load, you can begin developing the sets that may confer the adaptations listed above. It is highly recommended that this phase coincide with the endurance phase of base miles. 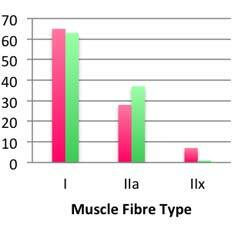 In terms of structure, perform 3-5 sets of lifts at 85-95% of your 1RM, which will necessarily be 2-5 reps of your 1RM. Begin this 6-8 week phase slowly, warm up with light weights, focus on good form and get into the habit of using a spotter when operating close to your 1RM. Plyometrics – Plyometric exercises are a great way to sharpen the adaptations that you have developed over the preceding 12 or so weeks going into the race season. They will give you an edge by being able to make repeated fast powerful movement, by improving neuromuscular systems and improving your rate of force development. Some example exercises are excellently described here . Maintenance Phase – During the race season continue in the gym once per week mixing sets from all three phases; schedule it at a suitable time in the week and be mindful of your recovery from events and preparation for upcoming events. With the famous Chapel in sight, Cancellara accelerated with commanding composure. Bent over his bike grimacing, Boonen was unable to respond. One hundred kilometres earlier he could have comfortably put that power down. 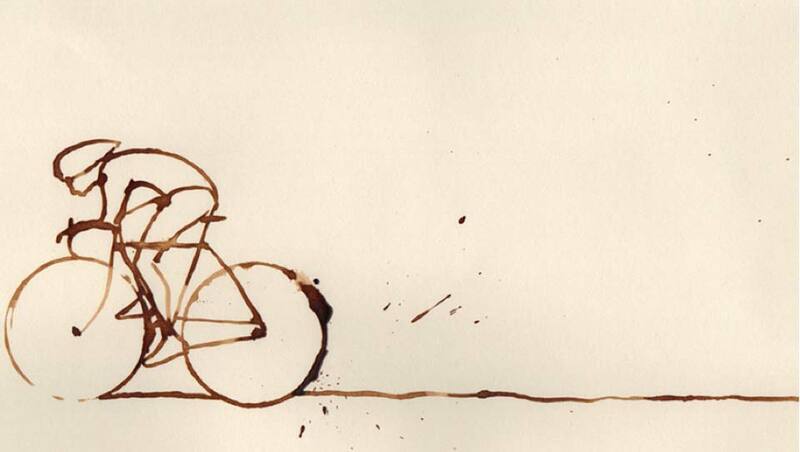 But not now, his legs more fatigued than the man riding away, he could only watch. Both rode on alone into Ninove; only Spartacus tasted victory in a pure display of ‘strength’. The author, Dr. Chris Bartlett, is a professional cyclist, biochemist and coach at palmarès, a coaching group who use the latest in scientific research to develop and educate their clients to become fundamentally better athletes and smarter riders. palmarès use proprietary software to analyse, study and understand their athletes able, even, to accurately predict future performance. Note: This is a limited time offer which ends on the 31st January 2014 and is valid only for the first 3 months of any palmarès products and is valid for new customers only.